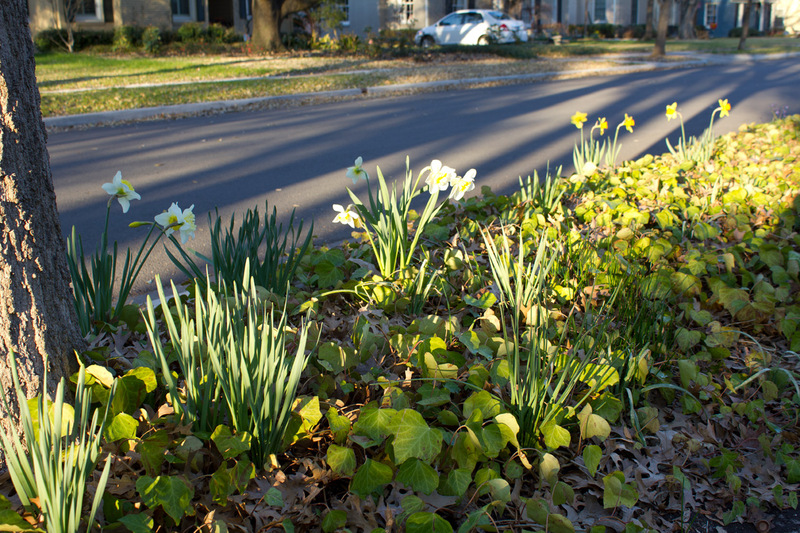 Whether they are Narcissus or Daffodils or Jonquils, I have several varieties popping up in my parkway. The above shot was taken exactly a week ago, and more have emerged since then. If I can get a more recent shot without the now tired flower heads, I will be posting it. As I have mentioned before, all my perennial bulbs were purchased from The Southern Bulb Company. If you didn’t know already, spring bulbs are planted in the late fall, and the narcissus varieties will return year after year. bulbsDaffodilsJonquilsNarcissusSouthern BulbsThe Southern Bulb Co.